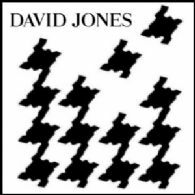 Sydney, Jan 13, 2011 (Global Fashion Wire) - David Jones Limited ( ASX:DJS) today announced that it has introduced, on a department store exclusive basis, 12 Australian and international designers and 18 fashion and beauty brands. These 30 new brands will be added to and will complement the Company's extensive existing brand portfolio. These new department store exclusive brands reinforce David Jones' position as the "Home of Brands" within the Australian market. More than half of David Jones' Fashion, Beauty and Accessories portfolio is comprised of department store exclusive brands, (both in terms of number of brands and sales volume), with approximately 70% of the Company's Womenswear and Menswear categories made up of department store exclusive brands. This enables the Company to differentiate itself from its competitors. David Jones Group General Manager Fashion & Beauty Mr Sacha Laing said, "We are delighted to be adding 30 new, department store exclusive brands to our portfolio. These brands cover the spectrum of international and Australian designers and encapsulate David Jones' core values of fashionability and accessibility." "The continual introduction of new brands ensures that our offering remains fresh, relevant and reflects what our customers want. It also means that we need to be disciplined in our allocation of floor space. Our business objective is to allocate space to exclusive brands with strong performance track records and high margins. "We undertake ongoing reviews of the performance of all existing brands in our portfolio and an analysis of how we can maximise returns per square metre of selling floor space. Space occupied by underperforming brands often needs to be freed-up and reallocated to new and growing brands for the simple reason that we attract customers by providing the broadest range of the most wanted national and international brands within a unique, world class shopping environment. "Space to accommodate these new brands in our stores has been freed up as we have ceased stocking brands such as Simona, Escada ( ETR:ESC) and AG by Arthur Galan. We have also been able to generate value and improve our gross profit margins through our category and brand mix, as well as through our negotiated terms of trade with these new brands. "Our ability to attract new brands demonstrates the trust that brands and designers have in partnering with David Jones on an exclusive basis. Our Company has a track record of respecting brands and representing them in a manner that is consistent with their brand philosophy," Mr Laing said. - Footwear: Steve Madden and Nine West.